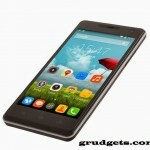 You are here: Home / Android / Celkon A35K campus smartphone review. 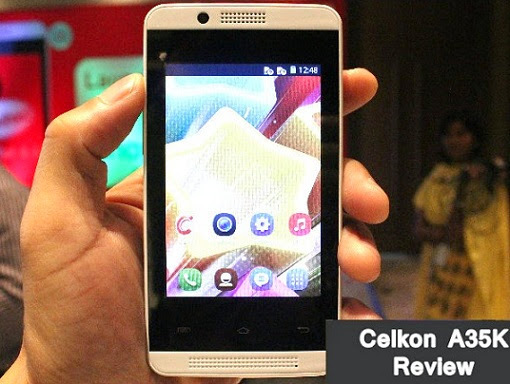 Celkon A35K is the cheapest Android Kit Kat smartphone which was launched recently and created lot of buzz among android community. I am sure that Celkon mobiles have brought smiles on faces of lots of Indians. Many people are asking for reviews about this device since its provided at competitive price tag. I recently had hands on with the device and was really surprised with its built quality. In terms of design, they have improved a lot. 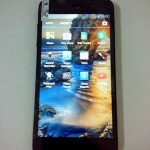 The design is similar to HTC’s smartphones, which feels premium. The speaker grills are present at the top and bottom of display accompanied by three capacitive buttons. It was wise decision in using capacitive buttons rather than using on screen ones. Under the hood, it packs single core processor, which is clocked at 1 GHz. 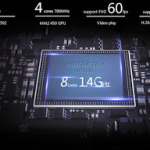 However, there is nothing mentioned about SOC or brand of processor. As far as OS is concerned, it runs on latest version of Android, I.e. kitkat. 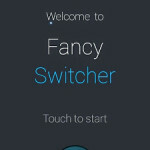 The software is almost like stock Android except few customizations here and there and few pre-loaded apps. It was necessary to keep the UI minimal due to the fact that it has internal memory of 512 MB. Celkon A35K has just 3.5 inches capacitive touch screen which might seem smaller for youngsters today. Don’t forget that it is the cheapest smartphone, so you have to cope up with few shortcomings. 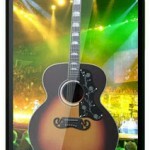 The display is quite good with average resolution of 320 x 480 pixels and pixel density of 165 pixels. It is more than enough to enjoy casual gaming and viewing images. The main camera of 3.2 megapixels is good enough for capturing some casual images. It performs well in day light and images appear to be less grainy. Surprisingly, there is also front shooter, which many lower priced smartphones like Moto E misses out. However, the quality of front camera is awful but it still serves the purpose. It features dual SIM connectivity which proves out to be good in Indian markets. Apart from that, the usual connectivity options include 3G, Wi-Fi, Bluetooth and micro USB port. You will also find proximity sensor near the display. The only downside is it lacks GPS connectivity, so if you regular traveller, than this is not the right device for you. You won’t be disappointed in gaming department too. It is able to handle most of the casual games like Temple Run, Subway surfers, etc. However, don’t expect that HD games will be supported by this smartphone since it has very low processing power and virtual memory. I have tried playing Asphalt 8 on Galaxy trend duos, which has single core processor. It was able to support the game with few occasional lags and frame drops. So, there is possibility that it might support HD games, but I am not sure about it. You will be highly disappointed by the amount of RAM and internal memory present on Celkon A35K campus. There is just 256 MB of RAM, out of which around 140-150 MB is free anytime. Internal memory is about 512 MB, but you can expand it through micro SD card slot. However, you can install apps on external memory, so I’d suggest you to get class 10 micro SD card. You can face occasional lags while using multiple apps but this is normal since it has very less RAM. The battery usage is satisfactory. You can get full day back-up on moderate usage including Wi-Fi, music and chatting. Overall, you can expect quite good battery backup since it has small display and Kit Kat is found to have lower power consumption. Celkon A35K campus is available exclusively from Snapdeal at price of 2,999 INR. The sales box includes the smartphone, charger, battery, earphones, warranty card, USB card and user manual. Runs on Android Kit Kat. According to me, Celkon mobiles are offering good value for money with this cheapest Android Kit Kat offering. I’d rather call it as lower priced, since it is high quality device with moderate specs. The camera quality is average; performance is good for beginners and can handle few multiple apps with ease. What more? The absence of GPS would be an issue for few of you, but considering the price tag, they are offering lots of features in Celkon A35K with that price tag. Let us know your opinions! I feel satisfied. While using . That is problem with most Android devices!